Strategically placed throughout the resort – the pull through lots are ideally situated for maximum access to all that Bella Terra has to offer. 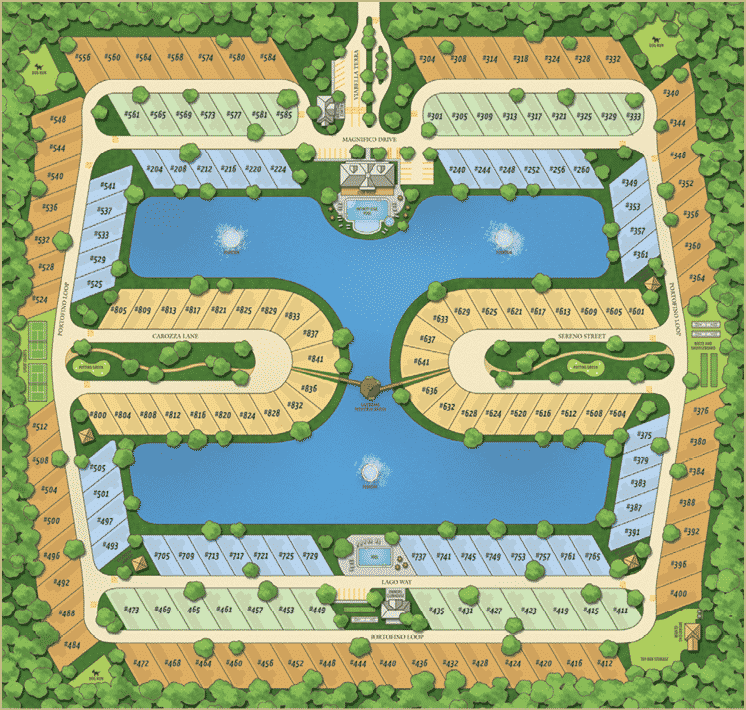 Ease of access to our dog park, bath houses and the Grand Clubhouse make these lots extremely appealing. Class A RV lots at Bella Terra of Gulf Shores include a 60 degree angle lots for ease of RV parking, concrete pads and built in patio, and feature electrical, water, sewer, cable television, and internet access.